And just like that.. the sun may still be shining, but Autumn beckons and with it some exciting plans in the pipeline! Before we look ahead though, here are five Summer bookings we loved playing for and why..
Give it up for the boys! Following our launch of the Sextet earlier this year we were welcomed at The Gherkin last weekend for the inaugural booking of our All Male Exclusive String Trio! As ever, here at Blue Topaz Music we only ever deal with quality and our new recruits did not disappoint! 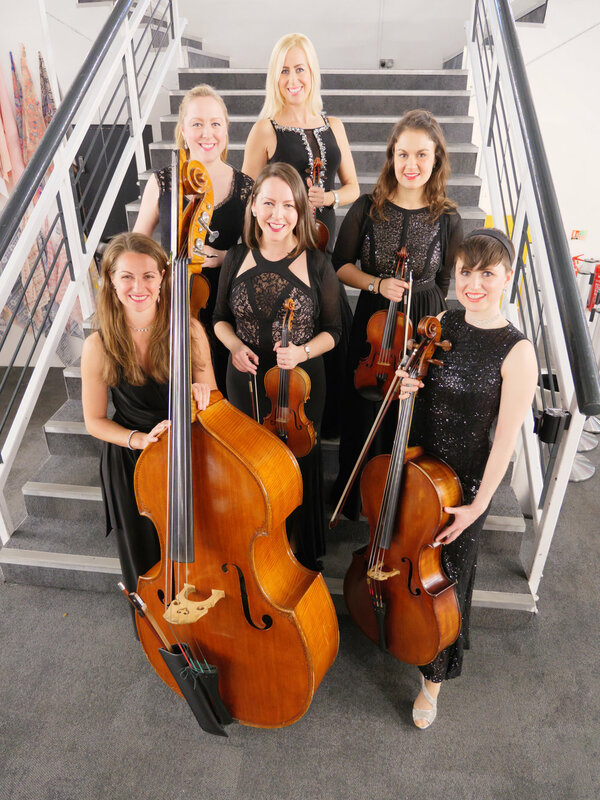 We were delighted with our rather dapper line up of very fine players whose individual careers have included playing for London's West End Show, Les Miserables, the notable Santiago String Quartet and Blue and Roots Ensemble. The event was a beautiful and literally high end wedding - as we gazed across London from the very top of The Gherkin. The bride was over the moon with her choice and many of the guests commented on the Trio's fabulous energy and performance. Prelude Entertainment, suppliers for The Gherkin, were also delighted with the standard and vibe of our all male group. In addition to these positive comments it was wonderful was to receive private and public praise from the male musicians themselves for our creation of interesting and inventive musical arrangements. Meanwhile, us ladies didn't miss out as we enjoyed playing for an elegant wedding drinks reception just down the road at 28 Portland Place! 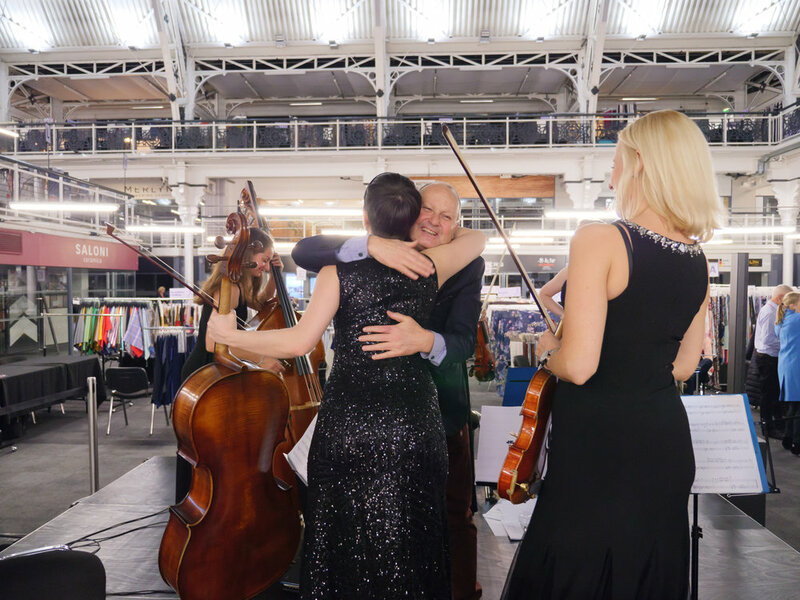 The Male or Female Exclusive String Trio... we can now do both!